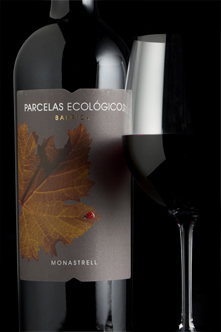 If you love big juicy smoky spicy red wines with bargain prices, head to south-east Spain to try the Monastrell grape. Much maligned Monastrell has been used for centuries to bolster up bulk wines with its heady structure and sweet blackcurrant fruits. Today this heat-loving dark-skinned grape is now highly cherished by Murcia producers like Juan Gil in Jumilla, Castano in Yecla and Molino y Lagares in Bullas who are working wonders with the grape, producing the best value reds in Spain. It may not have the kudos of Tempranillo, but it can offer far better value for money. Monastrell was first mentioned in Catalonia in late C14 and in Valencia in C15. Some say the name comes from the Moorish name ‘Muviedro’ for Sagunto town in Valencia, whilst other grape geneticists like Jose Vouillamoz say the name is a diminutive of ‘monasteriu’ suggesting it was originally cultivated by monks. From Spain’s Mediterranean coast the grape made its way to southern France, perhaps taken by monks or pilgrims, where it found a home in southern Rhone and Provence where it is known as Mourvedre. Today it is an important blender with Grenache and Syrah in Cotes du Rhone and Chateauneuf du Pape blends – and is at its best as a single variety in Bandol in Provence. In France’s Ardeche it is known as Espagnen, named after its country of origin, and in Herault as Espar. In the New World, in Australia, California, Cyprus and South Africa, it is known as Mataro. Once popular for herty fortified wines in Australia, it is now a key component of their GSM blends. In California it is popular with the Rhone Rangers fanatics like Bonny Doon, Qupe and Cline. Spain has by far the world’s largest plantings of the grape with 63,000 hectares, dwarfing France’s plantings of just 9,500. 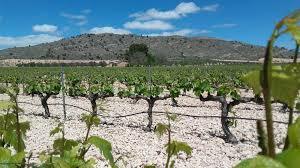 Many of the Spanish plantings are within 50 miles of the Mediterranean – where this small-berried small bunched grape grows at their best tended as individual bush vines on deep calcareous soils. Whilst it likes heat, it is highly susceptible to drought so always needs a regular water supply - which is becoming an issue as our climate gradually warms. The Murcia community has the largest area with 33,000 hectares in its DO Yecla, Jumilla and Bullas. Spain’s central plateau of Castilla La Mancha has nearly 20,000 hectares and Valencia has 9,500, nearly as many as in the whole of France. The best central and SE Spanish examples tend to come from high altitude plantings at around 700 metres where hot summer days ripen grapes well, but the cool nights retain vital acidity – as shown in our tasting. Succulent ripe juicy fruit-bomb made by family-owned Bodegas Castano, headed by the dynamic Daniel Castano, currently the best producer in Murcia. Cherry aromas, sweet baked fruits, easy soft silky palate from high altitude vineyards. For those who like gutsy juicy deep coloured reds with sweet ripe fruits, forest fruit flavours, spicy depth and smooth finish. Exceptionally good value and organically made (ecologico means organic). This warming red was a big hit at our recent Spanish tasting – at its best served with a spicy paella, salchichon, chorizo or mild curry. Another unoaked organic Monastrell. Robust hearty unoaked red with very baked jammy sweet fruits, lots of spice and rustic finish. Could be served slightly chilled with a Spanish charcuterie platter. Juan Gil is Jumilla’s producer who have helped put Monastrell on the map. Miguel Gil currently owns 120 acres of very high altitude vineyards – this four-month matured example is one of the best value in their range. Oak spice, sweet ripe cassis fruits, dark chocolate notes with chunky tannins. 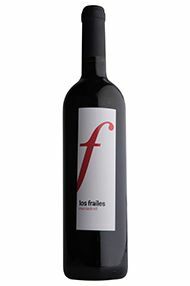 From 40 year old Monastrell vines grown at 700 metres by the Velazquez family – distant relations of the painter – who have run the renowned old Bodegas Los Failes – originally run by Jesuit monks from C13. This is a delightful light juicy sweet dark fruited example with bright acidity, dark cherry fruits, herby undertones and soft silky tannins. Popular with our tasters. A more serious complex Monastrell with 12 months in oak. This has more refined strawberry and blackcurrant fruits, delicious chocolate undertones and full rich ripe soft tannins with fresh acid balance – but watch the hefty alcohol. Made from 40 year old vines grown on chalky soils over limestone and rock – the grape’s favourite soils. Monastrell with maturity. This deliciously spicy savoury example with sweet cherry fruits, ripe tannins and earthy undertones with cinnamon notes from American oak ageing. Made by the dynamic duo of Ed Adams MW & Bruce Jack from 60 year old ungrafted bush vines – a previous Decanter World Wine award winner.